latest Apple handset retails for £429. The new iPhone iPhone 5C offers 8GB of storage, or half the amount of the former cheapest model, which remains at £469 in the UK. 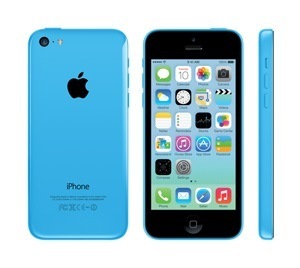 The iPhone 4S is still available, for £349, but the new 5C is Apple's least expensive 4G LTE phone. The handset went on sale from Apple’s online store in the UK and other countries on 18 March. The new 5C is also available in France and Germany, retailing at €559. The new model is displayed on Apple’s online store alongside the existing 16GB, which sells for £469, and the 32GB model, which sells for £549. The UK mobile network provider O2 is offering the 8GB 5C for £410 upfront on a £13 monthly tariff.